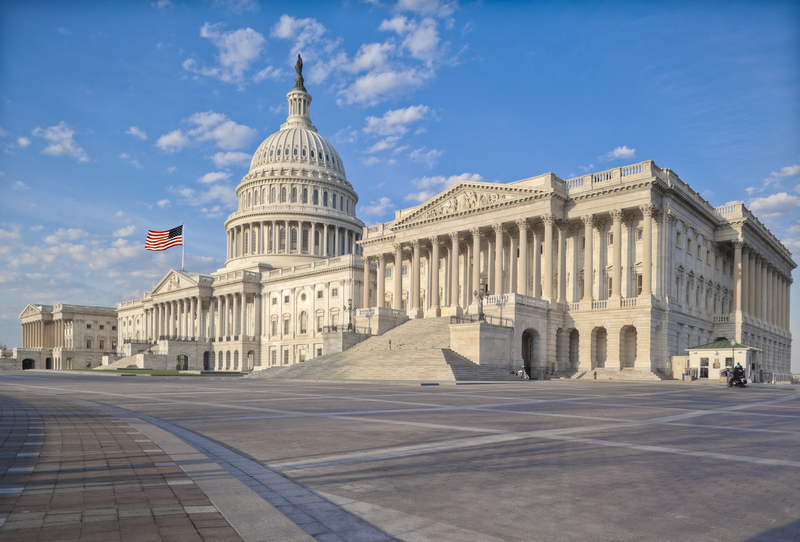 On August 1, the U.S. Senate approved a FY 2019 “minibus” appropriations spending package consisting of four appropriation bills on a 92 to 6 vote. The legislation included the following individual appropriations bills: Interior-Environment (S. 3073), Financial Services (S. 3107), Transportation, Housing and Urban Development (S. 3023), and Agriculture (S. 2976). To date, the Senate has passed seven of twelve appropriations bills, marking the first time since 2000 that the chamber has approved the majority of its twelve bills by August. The upper chamber has also pushed ahead of the U.S. House of Representatives, which has cleared six appropriation bills to date. Congress has until September 30 to wrap-up the FY 2019 annual appropriations process – including reaching a compromise between the two chambers on final spending levels – to avoid a potential government shutdown or the need for a continuing resolution to keep the government funded while negotiations continue. U.S. Department of Housing and Urban Development (HUD): The bill includes $44.5 billion in discretionary appropriations, an overall increase of $1.8 billion for HUD programs compared to FY 2018. The Senate legislation includes significant funding for key county priorities, including $3.3 billion for the Community Development Block Grant (CDBG) program and $1.36 billion for the HOME Investment Partnerships (HOME) program. U.S. Department of Transportation (DOT): The appropriations bill would provide $26.6 billion for DOT in FY 2019, $698 million below FY 2018 enacted levels and $1.2 million below the level outlined in the pending House version of the bill. The legislation would fund BUILD program grants (formerly known as TIGER grants) at $1 billion and the Essential Air Service (EAS) at $175 million. The FY 2019 Interior-Environment Appropriations bill totals $35.9 billion in discretionary funding, including funds to reduce the National Park Service’s deferred maintenance backlog, address various environmental and conservation programs and prevent and fight wildland fires. The Senate’s total funding allocation is slightly higher than the $35.3 billion provided by the House in its version of the bill, which passed on July 19. U.S. Department of Interior (DOI): The Senate appropriations package would fund DOI at $13.1 billion, including full funding for the Payments in Lieu of Taxes (PILT) Program at $500 million. U.S. Forest Service (USFS): The USFS, which operates under the U.S. Department of Agriculture (USDA), would receive $6.29 billion to improve the health and management of our national forests and to fight wildfires. Hazardous fuels reduction programs would receive an increase of $5 million aimed at preventing catastrophic wildfires, especially near developed areas. Wildland Firefighting: $4.3 billion of the appropriations package would be reserved for wildland firefighting. Fire suppression funding would be funded at the 10-year average, with an additional $900 million tacked on if regular suppression funding is not sufficient. Of these funds, USFS would receive $724 million and DOI would receive $176 million. U.S. Bureau of Land Management (BLM): The bill would provide $1.34 billion for BLM, an increase of $11 million over FY 2018. National Park Service (NPS): $3.21 billion would be provided to NPS, $13.4 million more than was provided in FY 2018. Much of this increase in funding would be allocated to help NPS address its $11.6 billion maintenance backlog, including $23 million for a deferred maintenance matching grant program. U.S. Fish and Wildlife Service (FWS): FWS would be funded at $1.57 billion under the Senate’s appropriations bill, representing a decrease of $19.7 million from FY 2018. Land and Water Conservation Fund (LWCF): LWCF would receive just over $425 million in the Senate bill, roughly equal to FY 2018 enacted levels. U.S. Environmental Protection Agency (EPA) – EPA would maintain level funding at $8.1 billion under the Senate appropriations package, $100 million above the House version. The bill would invest $2.27 billion in water infrastructure by funding the EPA’s Clean Water State Revolving Loans Fund at $1.4 billion and the Drinking Water State Revolving Loan Fund at $865 million. The bill also includes $80 million for brownfields grants and would dedicate $8 million of those funds to persistent poverty counties, defined as counties with 20 percent or more of their population living in poverty over the past 30 years. Unlike the House Interior-Environment Appropriations bill, the Senate bill does not include a provision repealing the controversial 2015 Waters of the U.S. (WOTUS) rule. However, when the House and Senate conference over the FY 2019 appropriations bills, WOTUS is expected to be a point of contention among negotiators. While the Senate appropriations package did not contain many new policy riders, it does contain some existing riders carried over from the FY 2018 appropriations package enacted earlier this year, including extending the ban on the listing of the greater sage grouse as an endangered species and language treating biomass as a carbon-neutral energy source. The Senate’s minibus package includes $145.1 billion in total funding for Agriculture, Rural Development, the Food and Drug Administration and related agencies for FY 2019. The discretionary portion of this funding totals $23.2 billion, an increase of $225 million relative to FY 2018 and $6.1 billion above the president’s FY 2019 budget request. Rural Development: Rural development programs would receive $3.8 billion in the Senate appropriations package, $825 million of which would be targeted specifically toward infrastructure investments. This funding includes $1.25 billion in rural water and waste program loans, $425 million for rural broadband development and $53 million for Distance Learning and Telemedicine grants, including targeted funding to combat the opioid crisis through telemedicine. It also includes $24 billion in loan authority for rural housing loans and rental assistance and $1 billion in grants and loans to promote rural small businesses. Natural Resources Conservation Service (NRCS): NRCS would receive $879.1 million through the bill, a $5 million increase in funding over FY 2018, to help farmers, ranchers and other landowners conserve and protect their land. $150 million would also be allocated for watershed and flood prevention efforts in rural communities. Animal and Plant Health Inspection Service (APHIS): APHIS would receive just over $1 billion in FY 2019 under the Senate’s package. APHIS programs help combat pests and diseases that threaten U.S. agriculture production. Agricultural Research: Under the Senate’s appropriations package, $2.73 billion would be allocated to agricultural research conducted by agencies such as the Agricultural Research Service and the National Institute of Food and Agriculture. Supplemental Nutrition Assistance Program (SNAP): The Senate funding bill includes over $73 billion in mandatory SNAP funding. This is $794 million below FY 2018 due to a decline in SNAP enrollment. Special Supplemental Nutrition Program for Women, Infants, and Children (WIC): The Senate appropriations bill would fund WIC at $6.15 billion, $25 million below FY 2018 enacted levels. The Senate’s final package did not include an amendment (No. 3464) introduced by Sen. Patrick Leahy (D-Vt.), which would have provided $250 million in election security grants. The amendment needed 60 total votes to be added to the bill, but failed on a vote of 50 to 47. On June 7, the U.S. Senate Appropriations Committee approved the FY 2019 Transportation, Housing and Urban Development (T-HUD) spending bill on a unanimous vote. The appropriations bill would provide $26.6 billion in funding for the U.S.
Key county economic development programs, including CDBG and HOME, fully funded in Senate FY 2019 appropriations bill. On May 23, the U.S. House Committee on Appropriations approved its FY 2019 Transportation, Housing and Urban Development (T-HUD) Appropriations bill, which funds the U.S. Department of Transportation (DOT) and the U.S. Department of Housing and Urban Development (HUD), by a vote of 34 to 17.